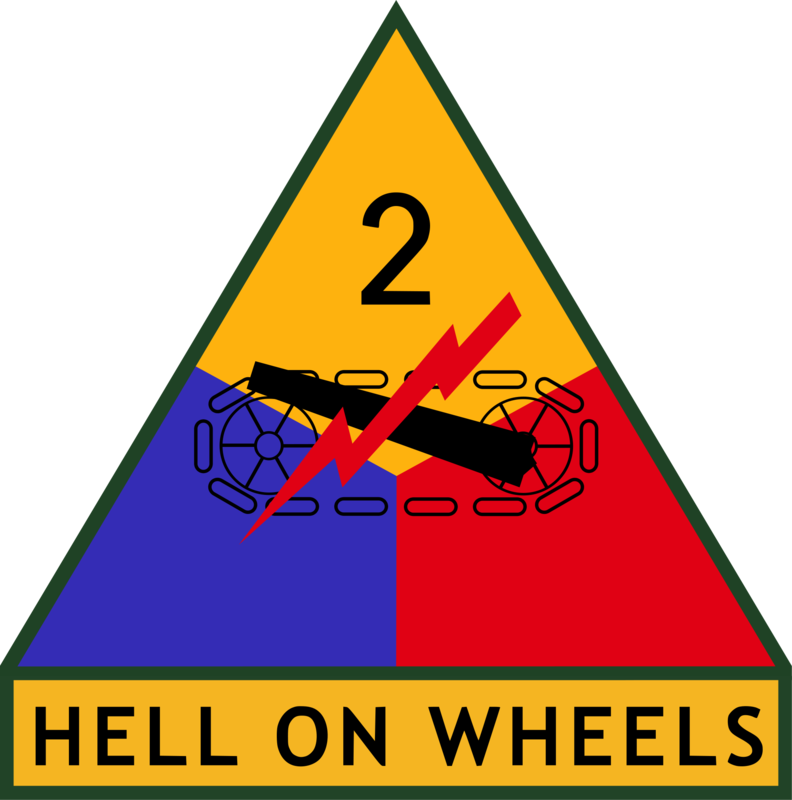 The 2nd Armored Division first saw combat during World War II. Commanded by General George S. Patton, the division landed in North Africa during Operation Torch and fought against Rommel's elite Afrika Korps. The division then landed in Sicily, where it fought in the Battle of Gela before fighting to Palermo. The division was then transferred to England, where it trained for the upcoming invasion of France. Landing on Omaha beach, the division pressed inland and fought against and defeated one of the best German units of the war- the elite 2nd SS Panzergrenadier Division Das Reich. It then punched through the heavily defended Siegfried Line, advancing into Germany. Afterward, the division had to be transferred to Eastern Belgium to fight in the Battle of the Bulge. The division crossed the Rhine and then raced across German territory and was the first unit to reach the Elbe River, where it halted until the end of the war. The unit was stationed in Germany through most of the 50's in order to deter the Soviets from attacking. Once relocated to Fort Hood, the unit mostly trained for armored warfare with the Warsaw Pact, so it didn't fight as a division in Vietnam, although some of its units did. The division did fight in the Gulf War. Instead of fighting as a division, its brigades fought with other units, so it was able to fight in the Battle of 73 Easting, Battle of Kuwait International Airport, and Battle of Norfolk. During those battles, the brigades from the division were credited with destroying hundreds of enemy armored vehicles. The division was inactivated following the end of the Cold War, but one of its brigades was attached to the famous 1st Cavalry Division.